Comment: Squirrels entering home and guest house. Guest house entering through the attic fan but some shingles are not in good shape I think. The main home has some missing shingles. We also have water damage due to ice dam from this winter. Garage has an attic fan and the neighbor says that they saw squirrels entering that area. A general inspection of the roof is needed. Comment: pool is installed and full of water. I need to know if it works. McHenry Home Inspectors are rated 4.91 out of 5 based on 540 reviews of 16 pros. 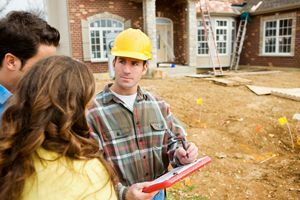 Not Looking for Home Inspection Contractors in McHenry, IL?